Stone troughs may have been used for cooking by people 3,000 years ago. They were practical,functional and large enough for cooking large meals. Later,farmers discovered that they were the perfect conduit to hold drinking water or feed for domestic animals. 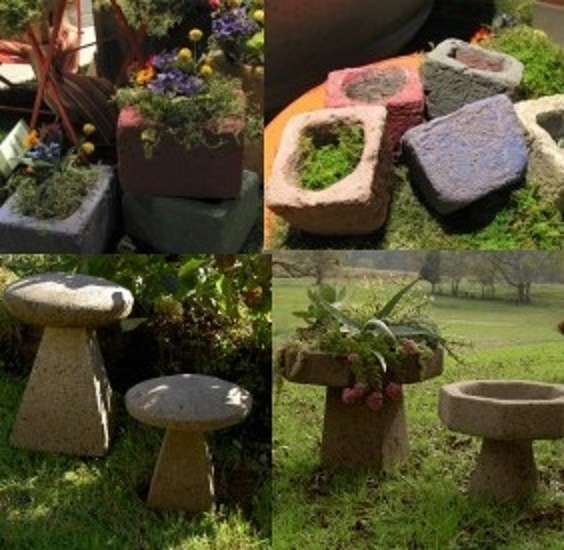 Eventually, gardeners discovered that the stone troughs, as well as artificial stone troughs, and metal troughs of all sizes, make unusual and effective planters as well as just to stage planters and watering conduits for potted plants that needs frequent watering. On these pages is our gallery of troughs that can enhance the functionality and beauty of your garden. They come in a variety of sizes and for the purpose you want them for. 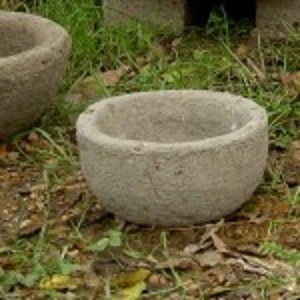 used generally for holding water or feed for animals and for kneading or washing clothes. Today the old English through find its niche in the modern garden. Add landscaping for these delightful cottages and watch them with great delight. Also perfect as birdbaths and oasis for garden animals. US$86.00 #512 English Garden Rectangle Trough 30"
For the warmer weather, the short-sleeved chef coats are the number one pick among lady chefs! Tailored for a women's body, this jacket features a flattering, shaped look for a better fitting chef coat. Set your little cottage on this trough so that you can actually provide and maintain a beautiful landscape around your little cottage.